Picking up your life and moving to another city to begin a graduate business program is a big change. One of the things you’ll need to check off your “to-do” list is finding a place to live. But where should you begin? We have you covered! Current students answered a few questions about their homes in Rochester to help you figure out what option is best for you. I live in the Park Avenue Neighborhood in the Whittier Building on South Goodman between Monroe and Park. It’s owned by Hannah Properties. I am a super social person so I wanted to live alone to balance that. I was looking for a managed apartment complex in a walking neighborhood and wanted to be in close proximity to restaurants and coffee shops. I was also on a budget, and this was an affordable option that met my wants and needs. The proximity to everything in Rochester. I feel very centrally located and can be virtually anywhere on foot, in my car, or via Uber ride in a short period of time. How do you get to campus? 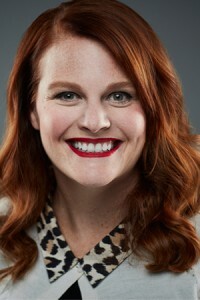 I drive in a carpool with four other classmates—it’s super fun and eco-friendly! What advice do you have for future Simon students who are considering living off campus? Covered parking is HUGE and something I didn’t even realize was a luxury until I had it. You don’t want to be cleaning snow off your car in the morning before 8:30 class! I live with two classmates in a house downtown, close to East and Alexander where there are lots of restaurants and bars. I lived in grad housing (Goler House) during the first year of my MBA and wanted to try living off campus this year to experience more of Rochester. I like being close to bars and restaurants. It’s easy and quick for me to go out and meet people. I either take a University of Rochester shuttle (the Orange Line), or if the shuttle is not running, I grab a city bus (which takes me to College Town). What advice do you have for future Simon students who are considering living there? Try living off campus. It’s pretty easy to get around Rochester, even without a car, so branch out and try to get out into the Rochester community. Also, talk to as many current students as you can—many of them will have tips about areas to target and areas to avoid. I live in Goler House, one of the on-campus graduate housing options. I chose Goler because it is the most convenient way to get to campus during winters. You can also take the tunnel through the medical campus and get to campus whenever it is snowing outside. The people. Many of my classmates live here and it becomes super comfortable during exam times to study with friends. Two campus shuttles run to Goler House: the Blue Line and College Town express come every 20 minutes. It is an amazing place and you feel like a family, with all friends around. Choose this place—Goler is the best during the winter months in Rochester. If you’re interested in Simon’s MS in Marketing Analytics program, join Jennifer Crandall, senior associate director of admissions, as she facilitates a panel discussion with current marketing analytics students; Paul Nelson, clinical professor of marketing and the faculty advisor for the MS in Marketing Analytics program; Libby Bakken, assistant director of MS Marketing/Business Analytics for the Jay S. and Jeanne Benet Career Management Center; and Karen Platt, director of MS advising in the Office of Student Engagement. They share information about the program structure, course offerings, STEM designation, and career outcomes for our MS in Marketing Analytics program. View MS Class of 2018 employment results. Searching for “Simon Bizcast” in iTunes, Google Play, or wherever you listen to podcasts. Did you know the world’s largest democracy is also poised to become the next economic superpower? By 2030, India will surpass the United States as the second largest economy in the world—with China reaching the top economic pedestal by 2020 and both countries continuing their nominal GDP growth well into 2050. There are several reasons for India’s auspicious growth, including robust private consumption and a rapidly growing middle class. To learn more about this emerging economy, I recently traveled to South Asia to immerse myself in India’s culture and spend time with executives from Citibank and KPMG. I also had the opportunity to take a guided tour of Dharavi—the largest slum in Asia—and witness the country’s remarkable small-scale industrial power, where an estimated 5,000 businesses produce up to $1 billion a year in revenue. 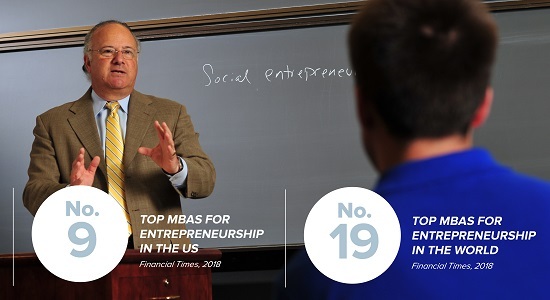 This exciting immersion was part of my MBA studies at the University of Rochester’s Simon Business School—Poets and Quants’ “2018 MBA Program of the Year”—and included coursework focused on international macroeconomics and global economies. My interest in participating in this trip came from a deep desire I had to learn more about India. Since the country’s independence in 1947, India and the United States have formed one of the most important bilateral relationships in the world. Trade between the two countries topped $126 billion in 2017 and two-way investment reached $45 billion. Moreover, the United States is home to the second largest Indian diaspora in the world, with an estimated 3.3 million Indians living and working in America. Clearly, the ability to learn more about Indian culture and business etiquette is a vitally important perspective needed today in the United States. 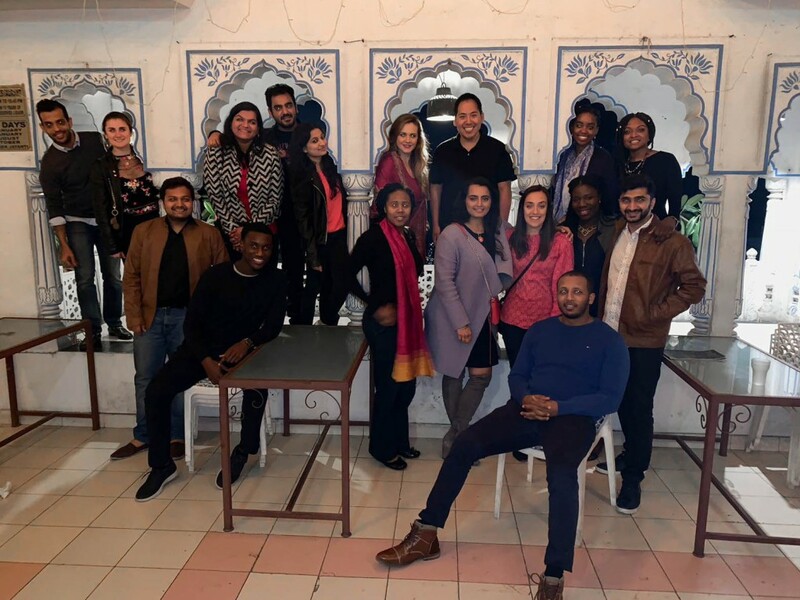 Having previously traveled to South Africa to study urban revitalization and youth leadership, consulted with an exciting Israeli start-up that’s integrating Artificial Intelligence with global communications, and competed in the world’s largest MBA case competition in Canada, the India trek represented the fourth global business trip I’ve completed as part of my international MBA and stands out as one of the most meaningful experiences of my life. In New Delhi, the power of India’s economic growth was observed at Cyber City—a corporate park that houses some of the top IT and Fortune 500 companies in the world. As a society that celebrates knowledge and innovation, India has transformed itself into a high-tech hub of the global economy. This country has unlocked new discoveries—from fiber optics and high-definition video to Pentium processors and UBS drives—and its robust IT industry and rising startup scene has contributed to lifting countless people from poverty and helping build one of the largest middle classes in the world. 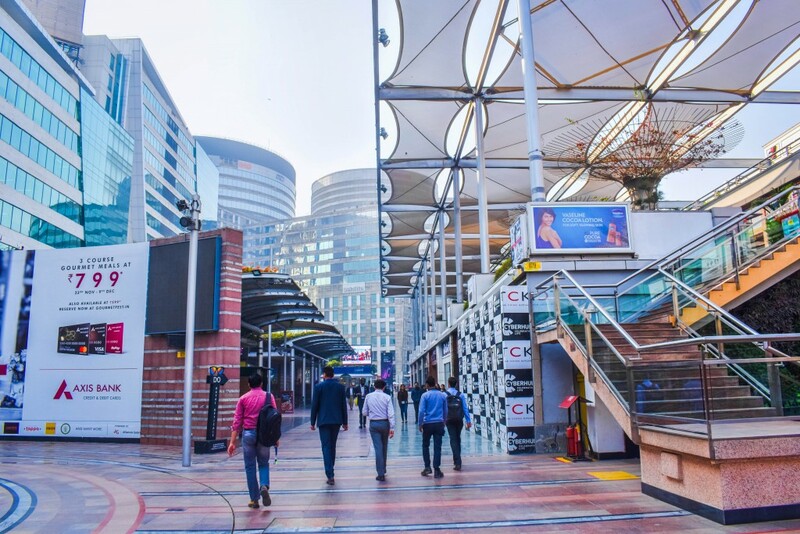 In New Delhi, the power of India’s economic growth was observed at Cyber City—a corporate park that houses some of the top IT and Fortune 500 companies in the world. It was here that I met with executives from KPMG and was briefed on their work in India. During my two-hour long meeting, I learned that KPMG provides advisory services to both the public and the private sector and is helping India embrace a new urbanism defined by smart cities and inclusive growth. KPMG is also aligned with the development goals of India and is engaging intimately with the government in areas such as social development, skill development, investment promotion and ease of doing business, financial inclusion, and digitization of government services. Furthermore, the company recently published a white paper entitled “India Soars Higher” to provide a clearer understanding of India’s evolving business landscape. In the report, it highlights India’s macroeconomic stability, improvement in the ease of doing business, and a focused effort on becoming a digitized economy as key factors behind the country’s economic growth and future success. In Mumbai, the importance of India’s rapidly growing middle-class was further emphasized during conversations I had with executives from Citibank, including Samiran Chakraborty, India Chief Economist, and Shinjini Kumar, Consumer Business Manager. During my visit, I not only learned about Citi’s outlook on investment and productivity growth in India, but was also fascinated to hear about a program called Aadhaar, a countrywide initiative created by the government of India. The Aadhaar project aims to provide biometric IDs to every citizen of India, many of whom lack any form of identification. The “most sophisticated ID program in the world” is currently used by almost a billion citizens and is providing access to a wide range of social benefits, including banking services and government subsidies, while streamlining bureaucratic processes and providing Indians with a secure and unique identification number. The implications of Aadhaar are enormous—for India and potentially the entire developing world. It demonstrates the power of how advanced technology and sound management practices can serve fundamental human needs and improve the human condition. Already, similar initiatives are underway in Brazil, Ghana, Indonesia, and Malaysia. At the Taj Mahal, an immense mausoleum widely considered to be one of the most beautiful buildings ever created, I learned about the unique and truly remarkable innovations carried out during its 16-year construction. At the Taj Mahal, an immense mausoleum widely considered to be one of the most beautiful buildings ever created, I learned about the unique and truly remarkable innovations carried out during its 16-year construction. One of the more prominent features of the Taj Mahal is its famous dome. Using an architectural innovation developed in Central Asia, the dome is actually of double construction, a design that allows more height. Combining this with its perfectly symmetrical planned building and you have the greatest architectural achievement in the whole range of Indo-Islamic architecture. 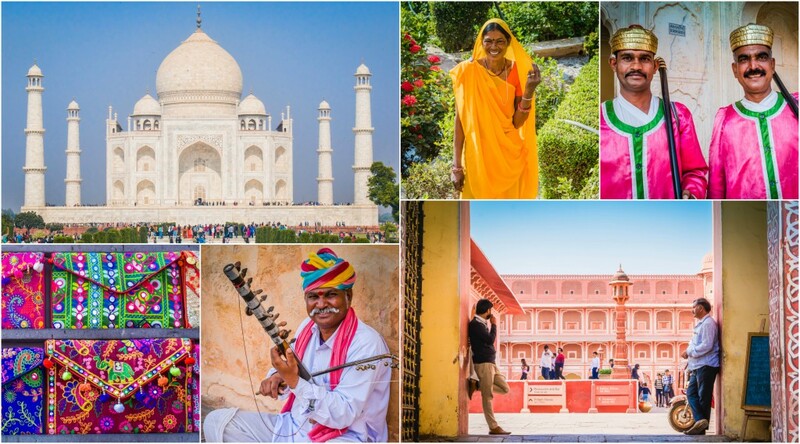 According to the World Travel & Tourism Council, the direct contribution of tourism to India’s Gross Domestic Product (GDP) was $91.3 billion in 2017 and is forecasted to rise by 7.1 percent per annum from 2018–2028. In 2017, travel and tourism directly supported over 26.1 million jobs or approximately five percent of India’s total employment. In the beating heart of Mumbai lies a community full of inspiration and pride and a population working every day to show what people are capable of achieving despite adverse conditions. In the beating heart of Mumbai lies a community full of inspiration and pride and a population working every day to overcome adversity. This place is called Dharavi and is the largest slum in Asia. While many people might recognize Dharavi from the 2009 Academy Award for Best Picture Slumdog Millionaire, this place is more than an urban district. It’s home to a friendly, welcoming, and dignified population of one million people. During my tour of Dharavi, I spent two hours walking through industrial areas, recycling centers, residential homes, and community schools with a local student who grew up in Dharavi. All throughout the tour, I was fascinated to learn about the diversity of small-scale enterprises that exist within this 2.1-square-kilometer area. In Dharavi, there are an estimated 5,000 businesses producing up to $1 billion a year in revenue. These industries include: textiles, pottery, leather, embroidery, recycling, restaurants, and thousands of boutiques. My visit to Dharavi was extremely positive and insightful and, most importantly, eye opening. It shattered all the stereotypes I had of slums and was one of the best experiences of my life. Despite the extreme poverty that exists, I walked away inspired by the people I met. People who are far too busy making the most of what they have, not dwelling on what they don’t have. 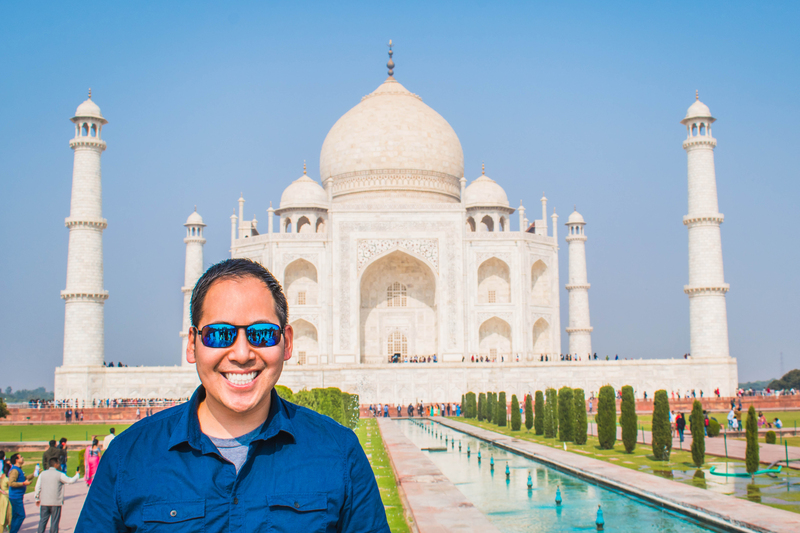 In addition to learning more about the country’s emerging economy and rich culture, it was the time I spent with my Indian classmates that made the trip especially meaningful. Their warm Indian hospitality truly moved me and is something I’ll cherish for the rest of my life. Empowered by technology, India’s rising population of young people will ignite the next wave of growth. I’ve seen a preview of their vast potential here at Simon Business School, where over 30 percent of the MBA Class of 2019 is from India, as well as some of my best friends in the program. 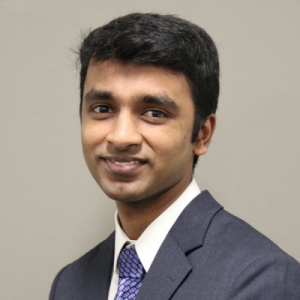 By collaborating with my Indian classmates, it’s allowed me to not only exchange diverse ideas, but also catalyze our ability to learn and go further together. In visiting the home country of so many classmates I respect and admire—and then meeting up with several of them in Jaipur and Mumbai—I came away not only with a deeper understanding of their background, but a lifelong bond that will be meaningful and substantive long after we graduate. After doing four global trips with Simon Business School, I can unequivocally state that India has been my favorite one. In addition to learning more about the country’s emerging economy and rich culture, it was the time I spent with my Indian classmates that made the trip especially meaningful. Their warm Indian hospitality truly moved me and is something I’ll cherish for the rest of my life. Several weeks after returning home from India, I am still reliving the inspiring and life-changing moments I was so fortunate to experience. This trip was a remarkable opportunity to immerse myself in an emerging economy, and the perspectives and insights I gained will continue to shape my decision-making for years to come. India and the United States share a spirit of dynamism and entrepreneurship that will be pivotal in solving some of the greatest challenges of the 21st century, particularly in a world that demands adaptability and resilience. I remain prepared and eager to lead in this new age of global economic transformation. 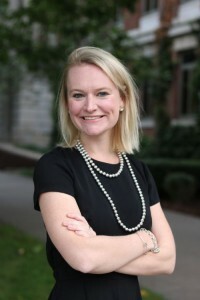 If you’re an admitted Simon MBA student, tune in to learn why pre-MBA conferences are highly recommended for those beginning the full-time MBA program this summer. 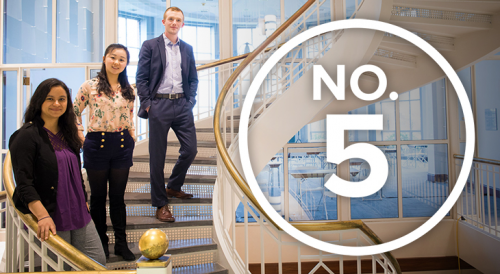 Current MBA students Ryan Bell ’20, Ashley Brown ’20, Jazmine Carter ’20, and Dave Schryver ’20 discuss the pre-MBA conferences they attended, preparation strategies, tips for following up afterward, and general advice for members of Simon’s MBA Class of 2021. There’s still time to register for UR Simon Weekend April 12-14! This exclusive programming will help you get a head start on prepping for your career search and for pre-MBA conferences. Register on the Admitted Student Portal by March 29.